A modern masterpiece surrounded by forest at the edge of Paradiski®, the second largest ski area in France. A space entirely dedicated to health and wellbeing: indoor/outdoor heated pools, Spa by Cinq Mondes, fitness and weight training area, Turkish bath, jacuzzi. An exceptional 5T area nestling high up at the top of the Resort and offering the best views out over the valley. In December 2018, Les Arcs Panorama will open its doors for you to enjoy its modern architecture and wide-open views. Situated at the family-friendly Arcs 1600 ski resort, part of one of the biggest ski areas in the world, Paradiski®, you'll find it's the perfect spot for downhill skiing alike. You're sure to love our Wellness area, with its Cinq Mondes spa, heated indoor and outdoors pools, whirlpool bath, Turkish bath, fitness and cardio facilities and more. Families can make the most of our Children's Clubs, for kids from 4 months to 17 years old, and enjoy our new style of family restaurant, Bread & Co, where it's the kids who take their parents out to dinner! And for an even more exclusive experience, try the outstanding 5T space nestled at the top of the Resort. 3 "by CINQ MONDES" Energy Massages (50’), scheduled every other day, for an optimal "back into shape" regime. 2 treatments (50') of your choice and 1 Skin Scrub (20') or Facial (20') of your choice. 2 treatments (50') including 1 Facial Massage treatment of your choice, 3 treatments (20') including 1 Skin Scrub, and 1 treatment (80') of your choice. 4 treatments (50') including 1 Facial Massage treatment of your choice, 4 treatments (20') including 1 Skin Scrub of your choice and 1 Bath, and 1 treatment (80') of your choice. All the expertise of CINQ MONDES at the service of your beauty, from top to toe. Cosy and comfortable rooms with a resolutely modern design that revisits the traditional codes of mountain decoration, in yellow or pink version. The bathroom is fully equipped and includes a bathtub for you to relax after a long day skiing or hiking. And to enjoy even more the stunning views, soak into the sun and breathe the fresh mountain air, choose a room with a balcony. Spacious, cosy and comfortable, our Deluxe Room offer you well-being and intimacy. In the room, enjoy the comfort of our king size beds. In the bathroom, a bathtub will make you choose between a relaxing bath and a rejuvenating shower. Outside, a balcony will allow you to admire the view, soak in the sun and breathe mountain fresh air. Two bedrooms, two bathrooms and a separate living room : our refined 69,5m2 Suites will offer you the ultimate comfort experience. 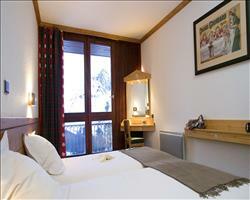 Nestled at the top of the Resort, they will offer you from their balconies the best views over the Tarentaise valley. You will also enjoy our exclusive, high-end services only for guests staying in Suites : welcome lounge with Champagne served by the glass from 6 pm, room service, conciergerie, dedicated ski room, 390m2 terrace with a hot tub and a panoramic view over the valley. This new family restaurant allows kids to invite their parents to share dinner. In this astonishing concept full of surprises, parents and children share real moments of family happiness. The experience is fully interactive ! The restaurant serves lunch exclusively for Petit ® and Mini ® participants. Drinks served by the glass and at the bar only: water, fruit juices and sodas, hot drinks and cocktails with and without alcohol, wines and local and international spirits. A selection of sweet and savoury snacks. Champagnes, VSOP and XO spirits, bottled and canned drinks are available from vending machines in some of our Resorts and/or at the Boutique. Certain super-premium brands and bottled wines are also available à la carte in some of our restaurants and bars. Our bar is named after a typical tree of the region : the Arolla pine. At the heart of the animation of the Resort, this lounge bar welcomes you into a warm and friendly, festive ambience. It is the best place to sip a warm afternoon tea, savor après-ski delights and enjoy an evening drink. We update Les Arcs Panorama's details often, but facilities do change. e.g. some extras listed by the supplier as "free" or included might only be for the first time you use them, or for one time per party, then charged for further use. If any specific feature is essential to your holiday, make sure you ask us to confirm the details of it before you book your holiday. This all inclusive holiday to Les Arcs Panorama in Les Arcs, France departs Sunday 22nd December 2019, for a 7 night stay on a "all inclusive" board basis. A local tourist tax (Taxe de Sejour or Kurtaxe) is levied by many councils in European ski resorts. It varies by standard and type of accommodation and is age dependent, so not everyone is charged. It's not included in the basic price of your holiday and is usually paid locally. For reference, the average charged in winter 15/16 was between 50p and £2 per person, per night.
. Ask for a quote when booking Les Arcs Panorama. 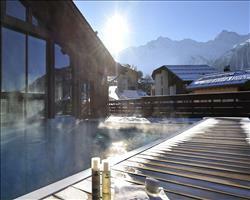 Chalet Belette (A... Les Arcs France, Stansted to Chambéry 22nd December. 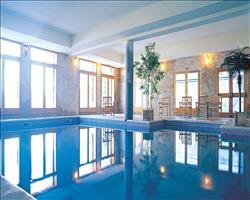 Chalet L’Ours Brun Les Arcs France, Gatwick to Chambéry 22nd December. 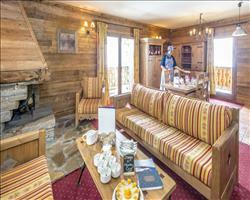 Chalet Matterhorn... Les Arcs France, Gatwick to Chambéry 22nd December. 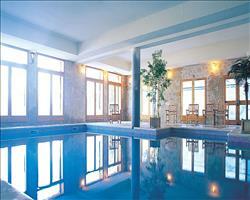 Chalet Winnie Les Arcs France, Stansted to Chambéry 22nd December. 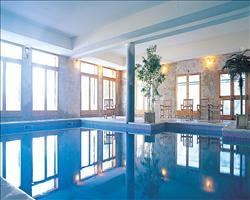 Chalet McKinley (... Les Arcs France, Gatwick to Chambéry 22nd December. 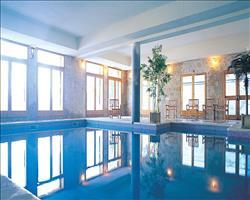 Chalet Himalaya (... Les Arcs France, Gatwick to Chambéry 22nd December. Club Med Arcs Ext... Les Arcs France, Without Flights to Without Flights 22nd December. 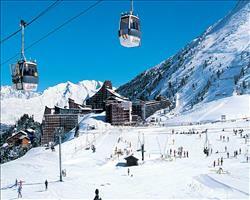 Club Med Peisey-V... Les Arcs France, Without Flights to Without Flights 22nd December.